Austria’s financial markets and services providers regulator FMA warned that the Forex and CFD broker Tradovest is not licensed to offer its services in Austria. 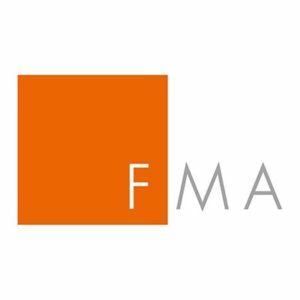 The Austrian Financial Market Authority (FMA) is an independent, autonomous and integrated authority for the Austrian financial market. The Austrian FMA is responsible for: contributing to the stability of Austria as a financial market; reinforcing confidence in the ability of the Austrian financial market to function; protecting investors, creditors and consumers. Tradovest offer Forex and CFD trading options and operates through the website www.tradovest.com. The company is owned and operated by Celestial Trading ltd. registered on the Seychelles, which means it is an offshore entity and there is a high risk for the customers when dealing with this firm. The website also mentions another company UK-based CELTIC PAY LTD. for processing the payments. Although, the location of the Tradovest is not provided on the website, it mentions different contact numbers in different countries (UK, Switzerland, Germany, New Zealand, Austria and Spain). The company is not licensed in any of those countries, and there is no regulatory body that monitors its activity to ensure it sticks to best practices. When choosing a new Forex broker, it is very important to verify that they are in fact licensed for investors from your country of residence. Trading with a licensed broker ensures you will not have issues withdrawing your investment. The most trustworthy brokers are those registered with such regulators as FCA in United Kingdom and ASIC in Australia. You can read our review on this broker here.